John Schoonmaker (BS, Architectural Studies, '17) began his college career in environmental science before switching to architecture. "I enjoy the way that architecture allows you to develop physical responses to problems, as opposed to more speculative solutions," he said. As recipient of the Perkins + Will Undergraduate Award, John received both financial support and an internship with the global firm. As part of the internship, he has worked on projects ranging from small, local, pro bono work to an international competition entry. 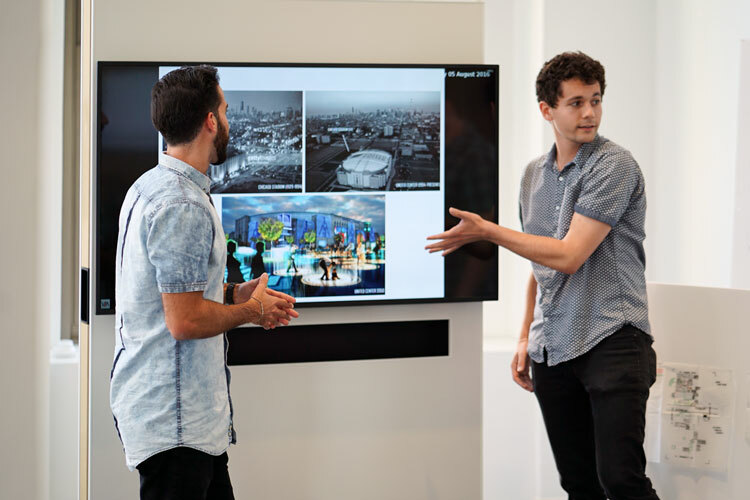 "Being exposed to such a wide variety of project types in just 16 weeks has had an immense impact on the breadth of both my architectural skills and my interests," he said. "It taught me everything from new design techniques to communication and presentation skills to how to research and implement new ideas into architectural designs. All these things have made me a stronger, more confident designer."